My garden is buried under two feet of snow right now (at the end of February?! 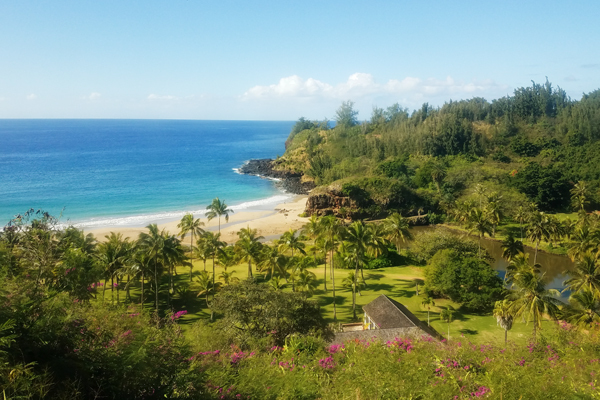 ), so my husband and I especially appreciated a sunny escape to Kauai earlier this month. A highlight for me was our tour of the Allerton Garden, created by Robert Allerton and John Gregg beginning in 1938. Above is their beach house as seen from the tour bus window on the drive into the garden. 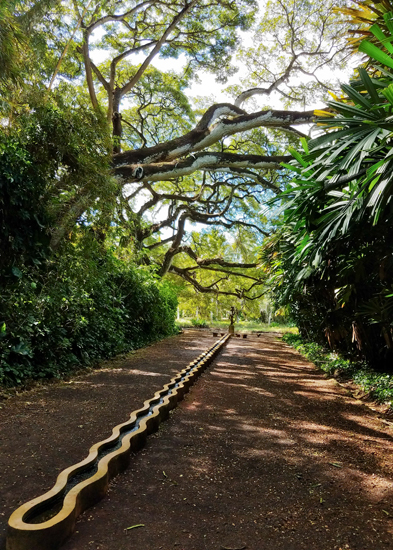 This 83-acre garden was named one of Nation Geographic Traveler's "50 Places of a Lifetime in America," and it was truly stunning. 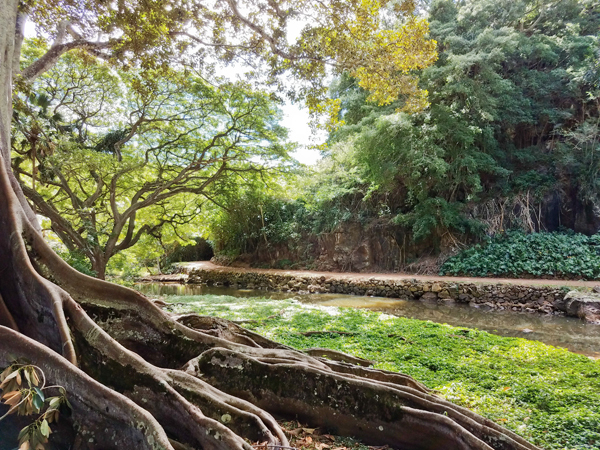 Above are the Morton Bay fig trees featured in the movie Jurassic Park. Our tour guide said that Steven Spielberg kept filming as Hurricane Iniki approached the island (in 1992), so the storm scenes in the movie were very real. After the film became such a success, Spielberg gave generous bonuses to the camera crew who kept working in dangerous conditions. 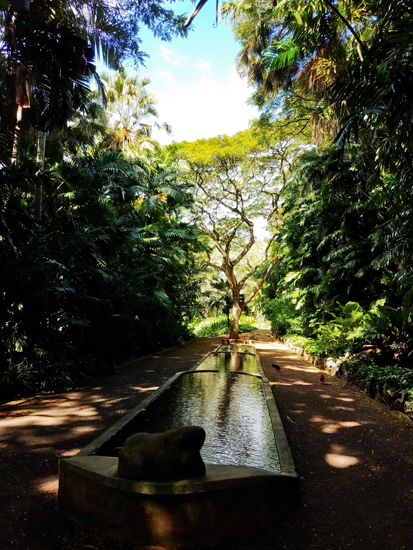 Iniki was the largest hurricane to hit Hawaii in recorded history, and the destruction it caused kept Allerton Garden closed for three years afterward. I was amazed at the beautiful scenes in nearly every direction. Even though I only had my less-than-stellar cell phone camera with me, I enjoyed snapping shots along with the rest of our tour group. 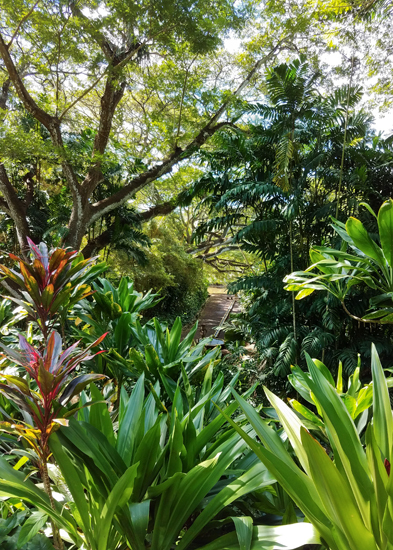 This garden is only open for guided tours, which were not inexpensive. 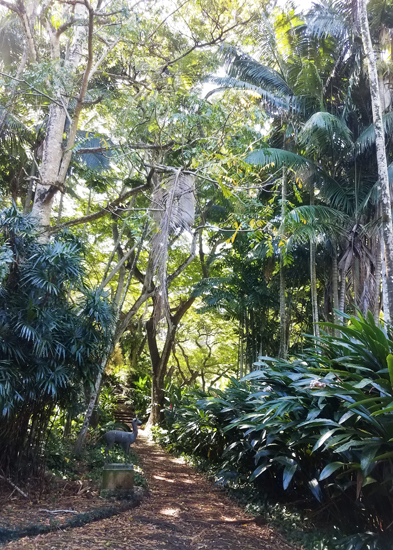 My husband kept joking about writing a book entitled "Kauai on $400 a Day." Even the less famous giant trees were majestic. 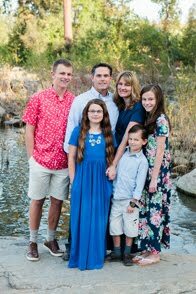 A full time team of seven gardeners cares for the garden. 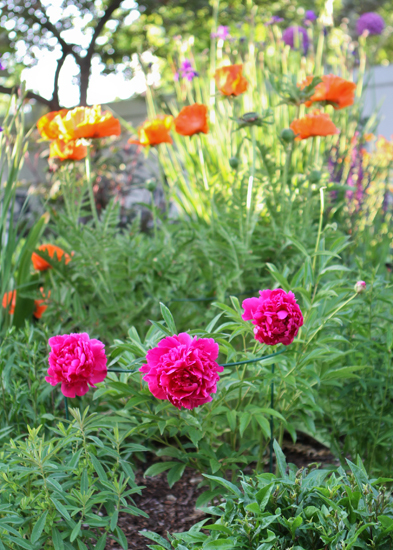 This garden is quite different than the English cottage gardens I love so much, but I fell in love with it. What a beautiful gift the Allertons gave to us by choosing to share their creation with the public after their deaths. It was fascinating to see giant versions of many plants I have grown indoors in pots. 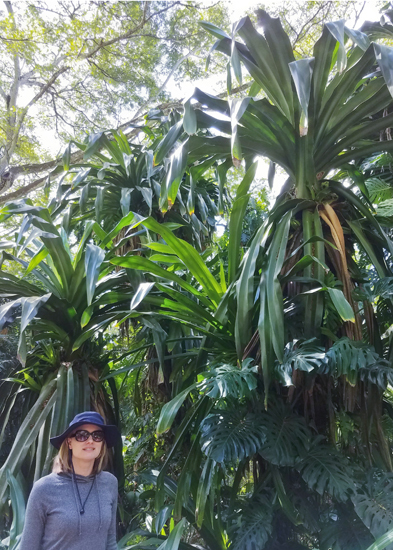 Here's a photo of me with some of these monster-sized houseplants for perspective. 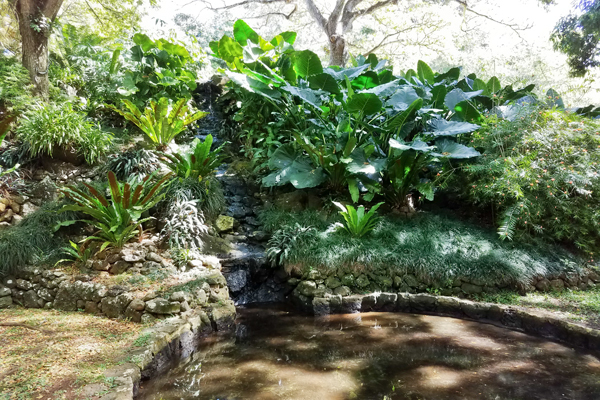 The use of water in the garden was extensive. 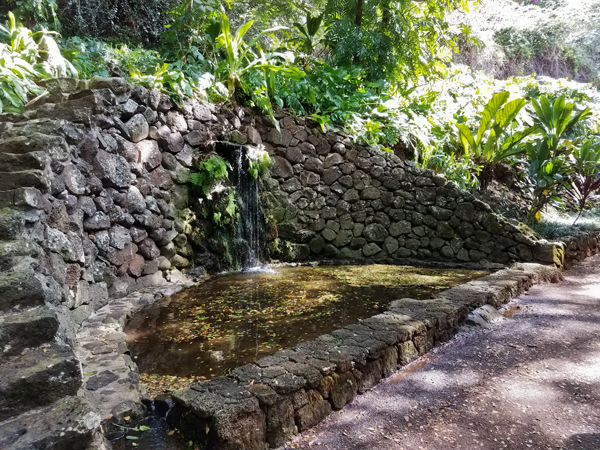 A spring was channeled through many stone waterfalls and pools. Here is one of the pools with feral chickens sauntering nearby. Hurricane Iniki set chickens free on the island and they proliferated in the following years. We also saw them around the hotel pool, on beaches, in parks and in parking lots. Lots of roosters. Lots of crowing all day long, but I found it amusing instead of annoying. The Mermaid Room featured this pool that was shaped with undulating sides that cause the water to pulse out the lower end. Another waterfall and pool. In my garden I would be rather proud of myself if I created just one scene like this, and Allerton Garden had so many. 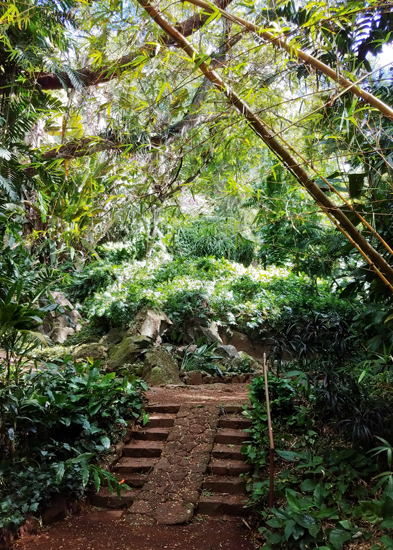 Giant bamboo arched over these steps. If I had to pick one word to describe the gardens, it might be giant. Or breathtaking. Or gorgeous. The tour was a lovely experience and well worth the time and money. After a lovely holiday with plenty of family visiting, my kids have returned to school and I have a few quiet minutes to blog. 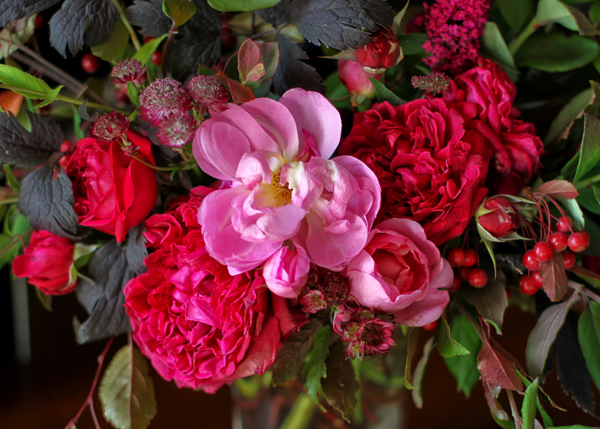 I was sad to hear last month of the passing of David Austin, creator of English roses like 'William Shakespeare 2000' and 'Lady's Blush,' above. I grow nearly two dozen of his roses and they bring me joy. 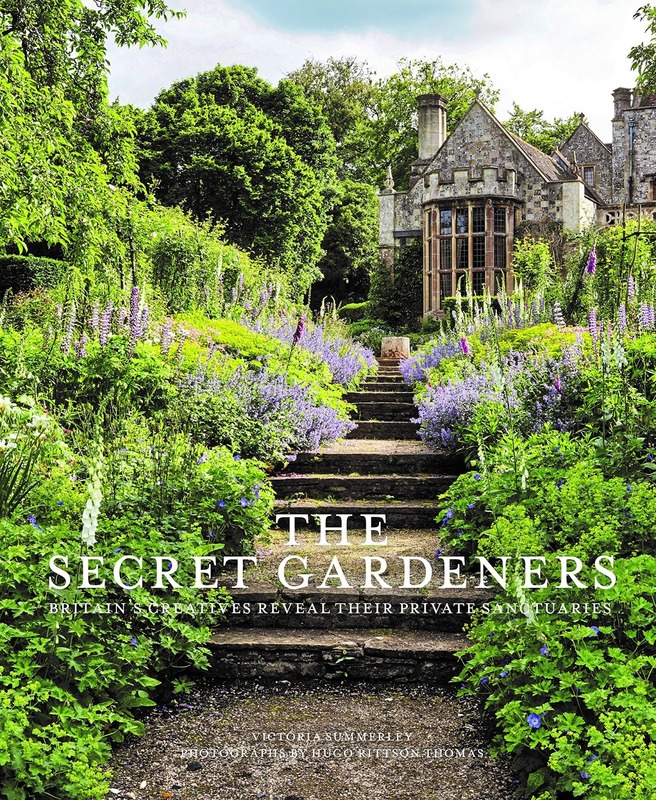 I've added to my garden books collection recently and am completely delighted with this one, 'The Secret Gardeners,' about the gardens of some of Britain's famous creatives. Sting (that's part of his garden on the cover), Andrew Lloyd Weber, Ozzy Osbourne, Prue Leith (my daughters love The Great British Baking Show) and others are included. 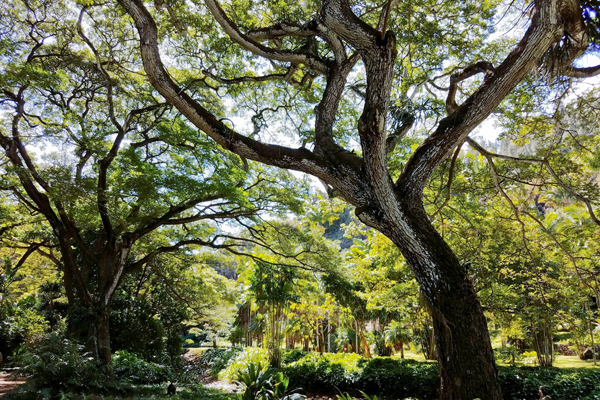 The pictures of the varied and beautiful gardens are plentiful, large and gorgeous. I'd highly recommend it for anyone who loves English style gardens. After going back and forth about whether to store my dahlia tubers over the winter, I tried wrapping some in plastic wrap and storing them in my deli drawer (37 degrees) in Tupperware containers. I've lost about half due to rot from condensation from the fridge, but they might freeze in my garage and the basement is too warm. We'll see how that goes. I've already ordered some new types (three each of Rip City, Belle of Barmera, White Onesta, Melody Pink Allegro, Great Silence) from Longfield Gardens and may have to order more if my fridge tubers all mold. Fingers crossed that at least some make it through, like 'Cafe au Lait' above. I'm counting down the days until I can pot up dahlia tubers and plant seeds under the grow light I set up in my bathtub. 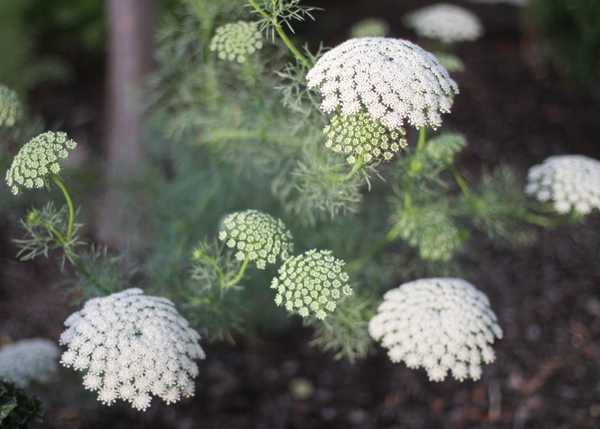 Above is Ammi, or false Queen Anne's lace. 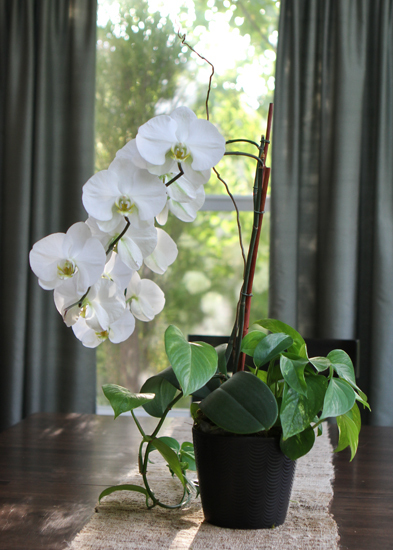 And I should mention my amazing moth orchid (Phalaenopsis) that bloomed for an entire year. I bought it at Costco early last December with two bloom stalks that lasted until May. Once those were cut back (I cut just above the growth node down the stem from the previous stalks) it immediately sprouted two more stalks that bloomed until early December. Now it's sending two more stalks out from the next set of nodes. Amazing! It seems very happy with all the indirect light in our dining room addition. 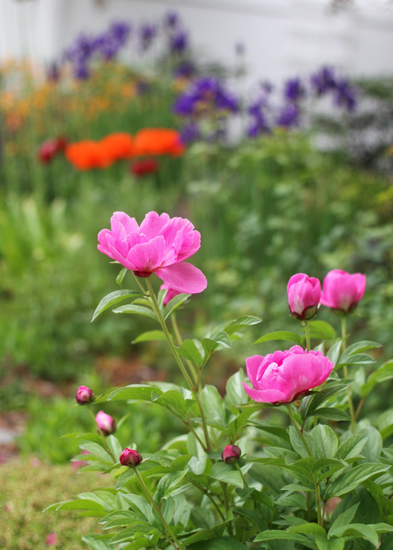 I'm looking forward to another year of growth and beauty in the garden. Although reading about the gardens of the rich and famous has reinforced just how small my quarter acre garden is, I'm delighted and grateful for a spot of my own to nurture. 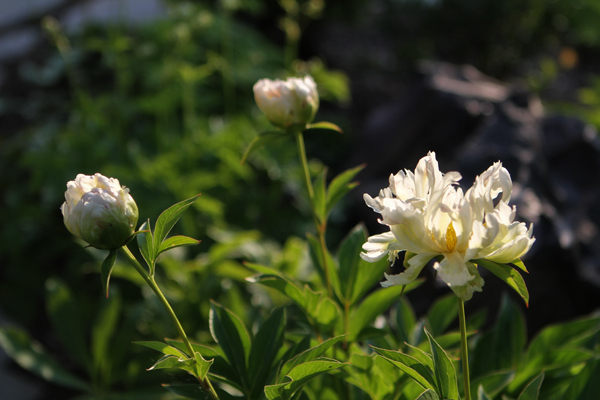 In our garden, the first peonies start blooming in May and the last ones finish in June. 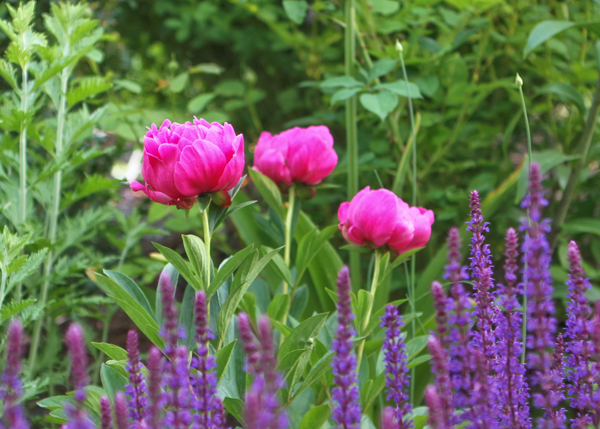 So we're about six months away from scenes like the one above with 'Kansas' blooming in back of 'Caradonna' salvia. This one is either 'Felix Supreme' or 'Paul M. Wild,' with an 'Ambassador' allium blooming tall. Whatever the last one was, this is the other. It was a bit floppier and needed a support ring. 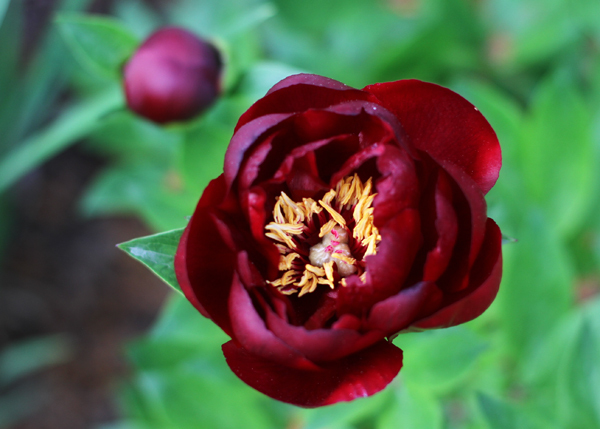 'Buckeye Belle' is one of the first peonies to bloom in my garden. 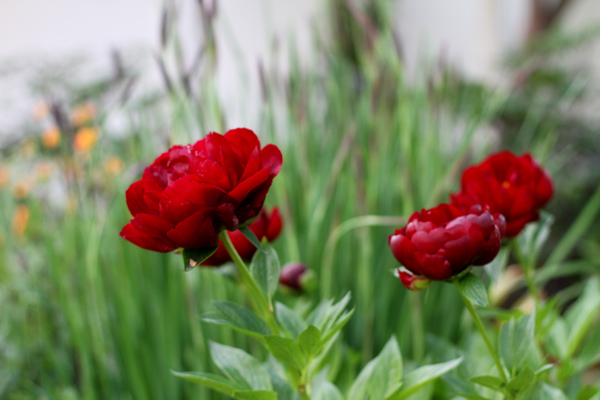 BB is a remarkably dark color that creates interesting color schemes in the garden or in a vase. I think this one is 'Red Charm,' another early bloomer. 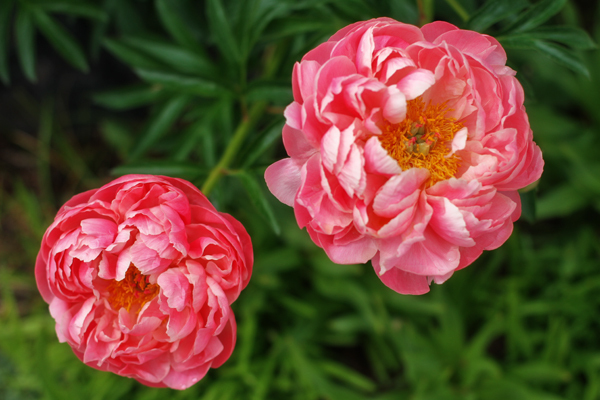 'Coral Supreme' is a large plant with huge flowers that bloom early. It hasn't been a good cut flower for me, though, as the petals turn brown the day after cutting. This is another shot of 'Coral Supreme.' 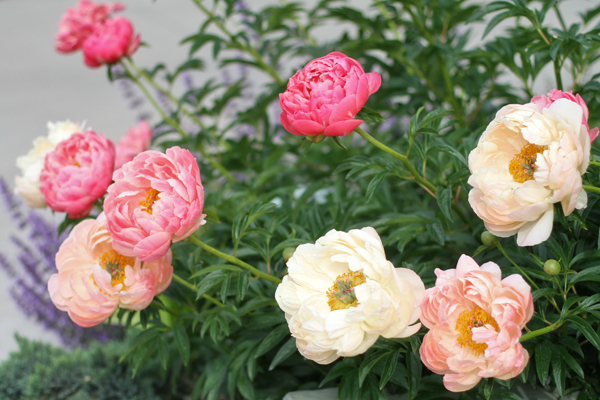 I also have two 'Coral Charm' peonies, and they are less vigorous plants but better cut flowers. 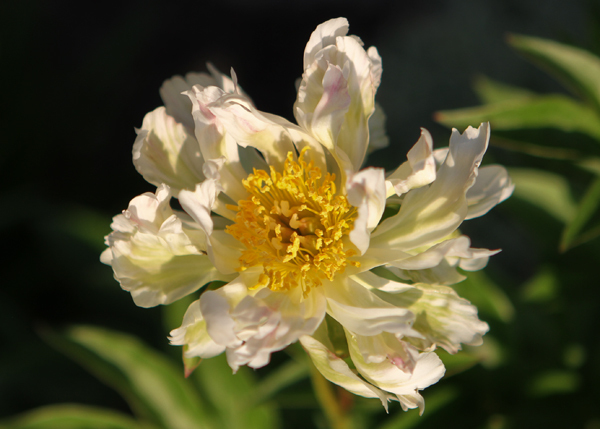 'Green Lotus' is an unusual peony with thinner, crinkly petals in shades of white and green. 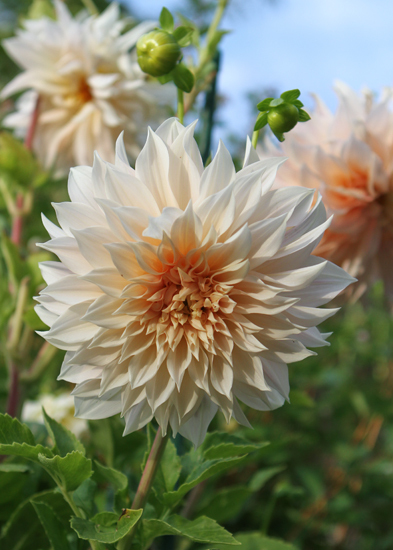 Although GL starts white, as it ages is develops reddish streaks on the petals. I suppose that coloring is interesting in its own way, but I'm not a fan. The flower above is just starting to show a hint of the reddish streaks. 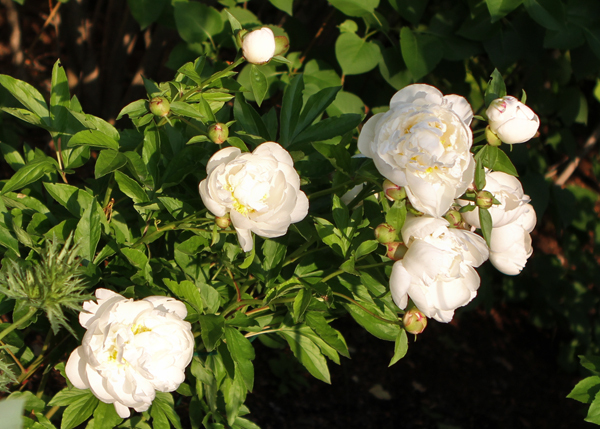 'Casa Blanca' is a large white peony that smells like fresh linen. 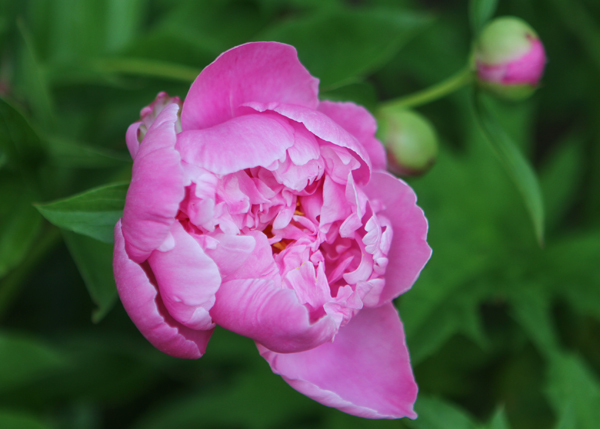 This is my favorite fragrance of all my peonies. 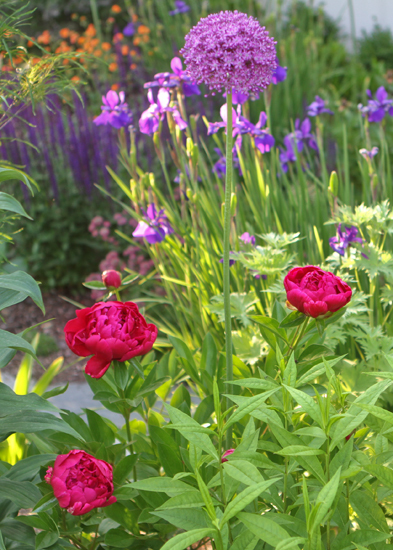 'Rivida' has fewer petals than many peonies, so it stands up without staking and makes a nice contrast to the 'bomb' type peonies. 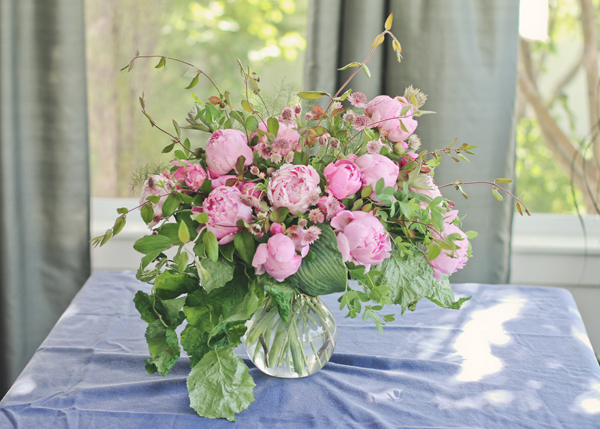 This unnamed pink looks nice in the garden or in the vase. An arrangement like this is six or seven months away, sigh. At least my hellebores will start blooming in just three or four months. This fall I transplanted my 'Black Mulberry' peony to a sunnier spot and planted a new little start of pale yellow 'Lemon Chiffon.' 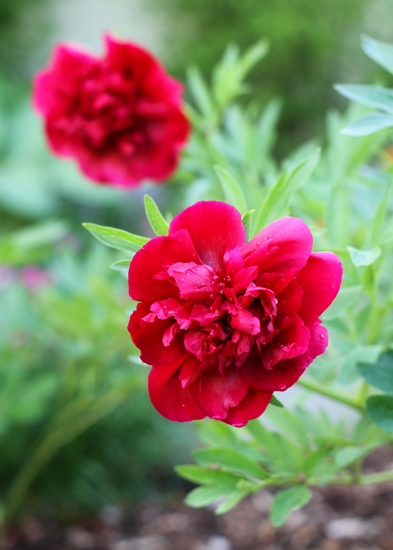 The other plants continue to mature each year, so I'm looking forward to the best peony season yet in just half a year. Located at the eastern edge of Washington, Spokane Valley is USDA Zone 5B or Sunset Zone 2. As with the mountains that surround our city, Spokane's weather includes cold, snowy winters and warm, short summers with little humidity. Snow falls from November to April (6 months of snow!). January's temperature averages are 22 F low/33 high. July's averages are 55 low/84 high. Our frost-free season lasts 120 to 150 days. While Seattle receives 37 inches of precipitation in a year, Spokane receives just 17. My yard is a typical suburban plot, just a quarter of an acre and surrounded by other homes. When we bought the place in June 2007, there were only a few shrubs around the front foundation, one crispy tree, and poor-quality lawn everywhere else. I'm working to make that blank slate into something special. Avid gardener. Amateur photographer. Horticulture/landscape design degree. Former grunt worker and intern at two nurseries. Also worked at a soil testing lab and a seed company. Occasional landscape design projects for friends. Member of the Spokane LDS Temple Landscaping Committee. Trying to manage my plant collecting tendencies with design principles - wish me luck on that! 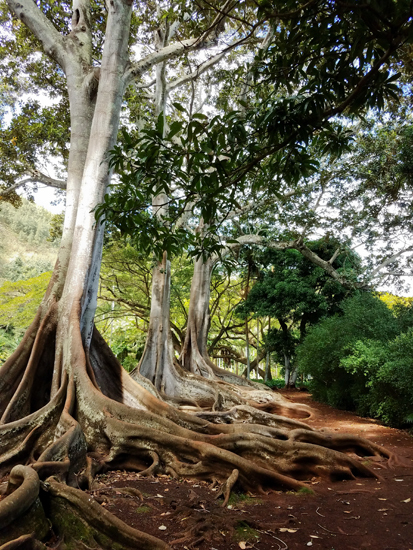 Looking for Information on Landscape Trees? Colorful Plants, Spiky Pots, Snakes, Roses and the Prom! You are welcome to use my photos or text in wholesome and appropriate ways if you will give credit to www.vwgarden.blogspot.com. Please do not use my work in association with anything degrading.